As one of Arrow Companies founders, Steve Fischer is extremely well-versed in all disciplines of commercial real estate. With a focus on property management, development and construction, Steve's field expertise has led Arrow Companies to continual growth since its inception in 2004. Steve brings strong customer service and management skills to Arrow and is often described as detail-oriented, patient and driven by the end-result. He will go above and beyond to ensure his clients are 100% satisfied. Steve prides himself on operating a company that offers expert advice, sets achievable goals and creates and executes efficient plans. Steve is a graduate of St. Cloud State University, a member of Co-Star Group, Minnesota Commercial Association of Realtors and is active in the North Hennepin Chamber of Commerce. He has been married since 1991 and has three children. In his free time, Steve is an avid outdoor enthusiast and often participates in hunting, fishing, golf and hockey. He is very passionate about his children and attends their sporting events regularly. Chad Weeks is the President and Co-Founder of Arrow Companies, a full-service commercial real estate firm. Chad has a broad background in the real estate field, including diverse experience and expertise in commercial brokerage and construction. Equipped with a well-rounded background in leasing and sales, Chad epitomizes integrity, energy, hard work and creative service throughout every detail of his real estate transactions. Chad entered the real estate field in 1997 and is a member of the Minnesota Commercial Association of REALTORS® (MNCAR), Costar and the North Hennepin Chamber of Commerce. Chad works diligently to meet the expectations of his clients and help them find solutions for all their real estate needs. As a 1996 graduate of Northern State University, Chad received a Bachelor of Science degree in accounting with a minor in finance. He is married with two children and enjoys hunting, fishing and other outdoor activities. Chad is also a huge football and wrestling fan. Jeff has been working as a real estate agent with Arrow Real Estate for the past 8 years. 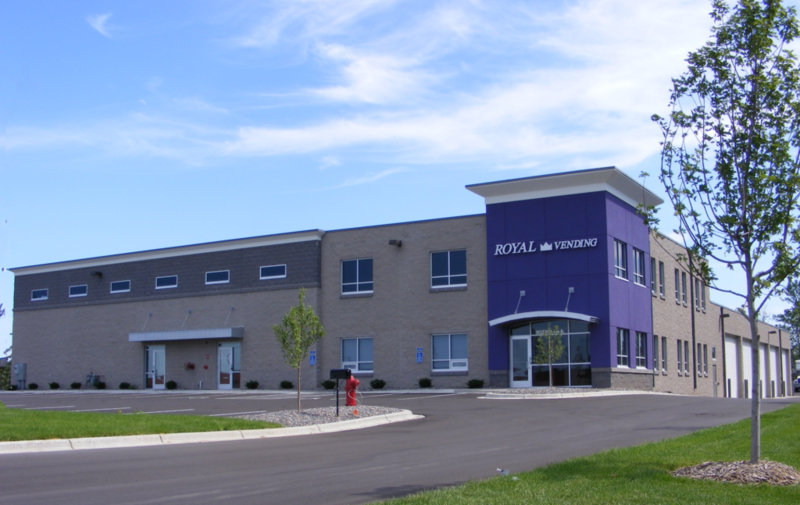 Jeff represents both Landlords & Tenants with their Commercial Real Estate transactions. He has a long record of representing his clients and applying his expertise and market knowledge to broker a successful transaction. Jeff is people-oriented with strong business ethics, integrity and professionalism in every project he is involved in. Jeff is an active member of the Minnesota Commercial Association of Realtors and Costar. He graduated from Concordia College in Moorhead, MN in 1992 with a degree in Communications. He played collegiate golf in college and continues to be active on the golf scene by playing in numerous chamber & company golf events. His other hobbies include visiting with friends and family at the up north at the lakes and numerous outdoor activities around his home in Plymouth. Chuck is the founder, partner and customer at Vantage Point Partners. He’s a veteran of dozens of successful real estate partnerships, having started his first business in 1975. With over three decades of experience, Chuck is a walking database of knowledge, delivering the performance-driven perspectives that have enabled our partners to consistently achieve their strategic investment goals. Trevor grew up in a real estate family which has given him a wide variety of background knowledge on the industry. He is a licensed Real Estate Salesperson with a particular focus in Commercial Real Estate. He bases his business on integrity, hard work, professionalism and customer service. Trevor is very results-oriented and enjoys helping clients achieve their goals. Trevor graduated from The College of St. Scholastica with a double major in Management & Marketing where he played for the men’s basketball team and was founder and president of The Entrepreneurship Club. Trevor has past successful business-to-business sales and management experience. His hobbies include spending time with family and friends, playing sports, and outdoor activities especially on the lake. Hailey grew up with parents in the real estate industry, enabling her to gain hands-on experience and a passion to work within the same field. Bringing strong organization skills and innovative thinking, although Hailey is fairly new to real estate, she is a huge asset to Arrow Companies. Since starting at Arrow Companies in February 2015, Hailey has discovered a passion for seeing positive end results for her clients. For her, there is nothing better than seeing happy customers and reaching or exceeding their goals. In the Spring of 2016, Hailey graduated from St. Cloud State University with a degree in Real Estate with a Property Management and Brokerage Emphasis. Since graduation Hailey has become a license broker. In her free time, Hailey enjoys spending quality time with her family. She enjoys watching her brothers sporting events, coaching hockey and playing hockey. She especially looks forward to coaching and watching her daughter play sports some day. She loves the fall season when she hunts with her dad and brothers. Cuyler Fischer grew up in the real estate industry. Cuyler began working at Arrow Companies in 2015 working in the maintenance and construction side of the business. In these three years, he gained a lot of knowledge and passion for real estate. Cuyler graduated from the University of River Falls Wisconsin in 2018 with a bachelor’s degree in Business Management. Shortly after, he was hired to join the Property Management team at Arrow Companies. In August of 2018 he obtained his real estate license. Cuyler is an avid outdoorsman. He loves spending his free time exploring the outdoors while hunting, fishing, camping, and golfing. One of Cuyler’s favorite things about working at Arrow is the amazing people and relationships he has created over the years, both co-workers and customers. Nancy Weeks started with Arrow Companies in August of 2017. With over 20 years of administrative, office management, human resources, and payroll experience, Nancy has been a great asset to the company. Nancy’s commitment to detail is just one outstanding trait that makes her succeed in her role as Office Manager. 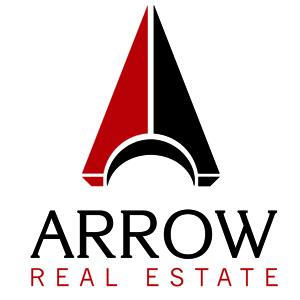 Since starting at Arrow, Nancy’s interest in the real estate world has grown exponentially. She looks forward to learning new things each day! When Nancy isn’t at work, she enjoys spending quality time with her husband and two kids. Her other hobbies include leading a healthy lifestyle, attending her kids’ activities, and spending time with friends and family. Cliff joined Arrow Contracting in 2012 as the Senior Project Manager. With over 15 years of experience in the construction industry, Cliff prides himself in running a clean and efficient job site. Cliff delivers projects that are a direct reflection of himself and has managed many different types of construction projects ranging in cost and size from up to $9.5 million and 146,000 Square Ft., respectively. Clients who have worked with Cliff often request him for their future projects. Jon began working with Arrow Companies in October 2016. Jon has 18 years of experience in the construction industry as a carpenter and foreman on a wide variety of projects. Prior to working at Arrow Companies, he was a subcontractor. During that time, Jon completed many projects for Arrow. Jon strives to help make every job run smoothly and takes pride in going above and beyond what is expected. He is also a go-to person to solve tough maintenance and construction problems, as he is great at thinking outside of the box. In his free time, Jon enjoys metalworking and woodworking.